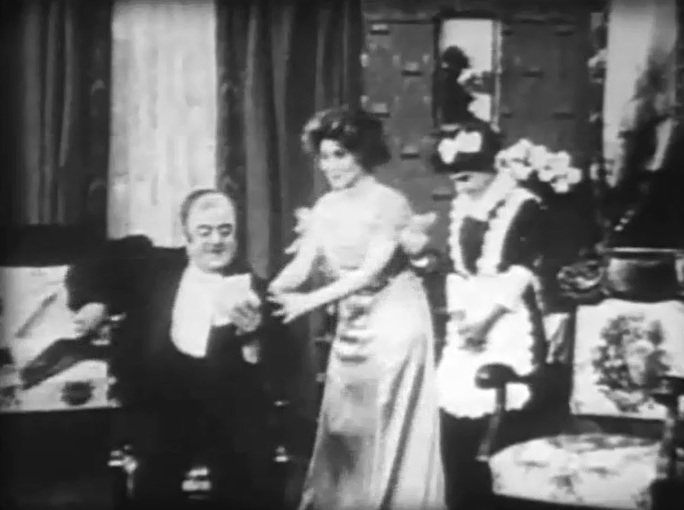 Running time 5 m. 10 s.
"The Joneses Have Amateur Theatricals" is a very short comedy directed by D.W. Griffith, featuring Florence Lawrence and cinematographer Billy Bitzer, stars of Silent Hall of Fame. Florence Lawrence has a prominent role together with John R. Cumpson. Florence Lawrence and John R. Cumpson in "The Joneses Have Amateur Theatricals" (1909), director D. W. Griffith. All is quiet and sleepy in the Jones family when she gets a note reading: "The Amateur Dramatic Club has selected your home for the next meeting". 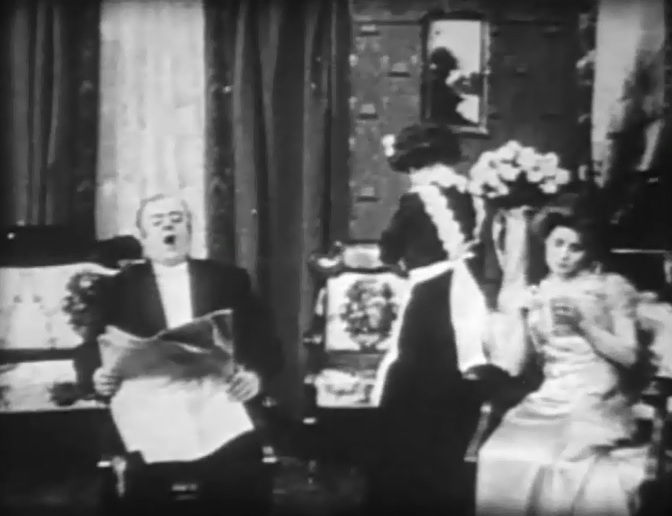 Florence Lawrence shares the news with her husband in "The Joneses Have Amateur Theatricals" (1909), director D. W. Griffith. 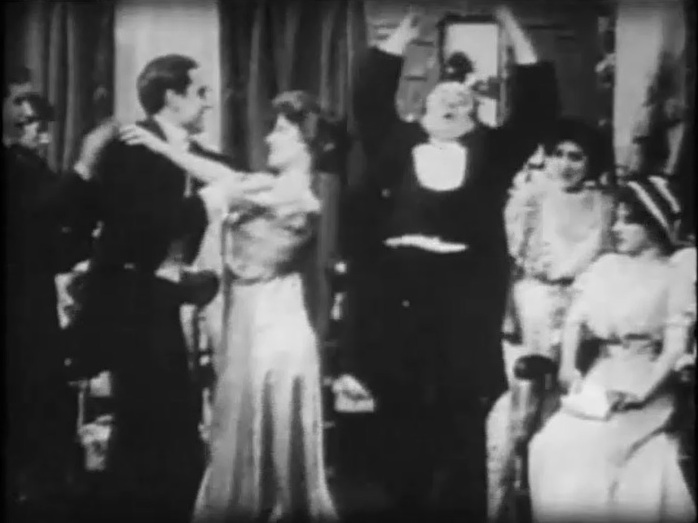 Florence Lawrence is excited that guests are coming in "The Joneses Have Amateur Theatricals" (1909), director D. W. Griffith. 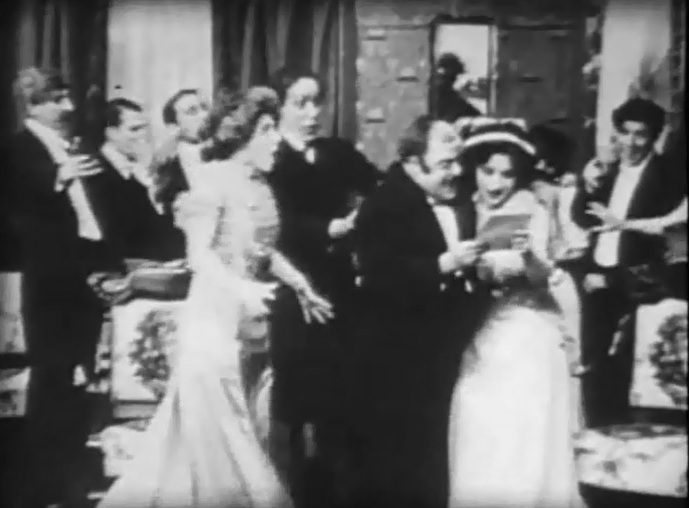 Florence Lawrence is shocked to see her husband play a love scene with another woman in "The Joneses Have Amateur Theatricals" (1909), director D. W. Griffith. 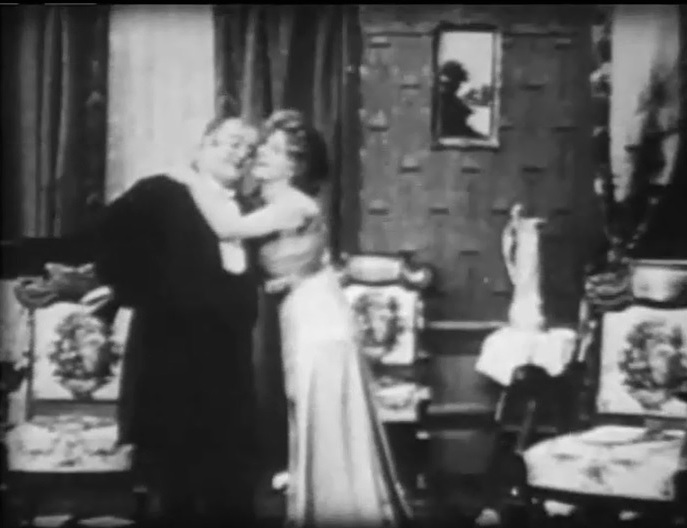 Florence Lawrence and her husband play a love scene in "The Joneses Have Amateur Theatricals" (1909), director D. W. Griffith. Florence Lawrence is not thrilled to play a love scene with another man in "The Joneses Have Amateur Theatricals" (1909), director D. W. Griffith. 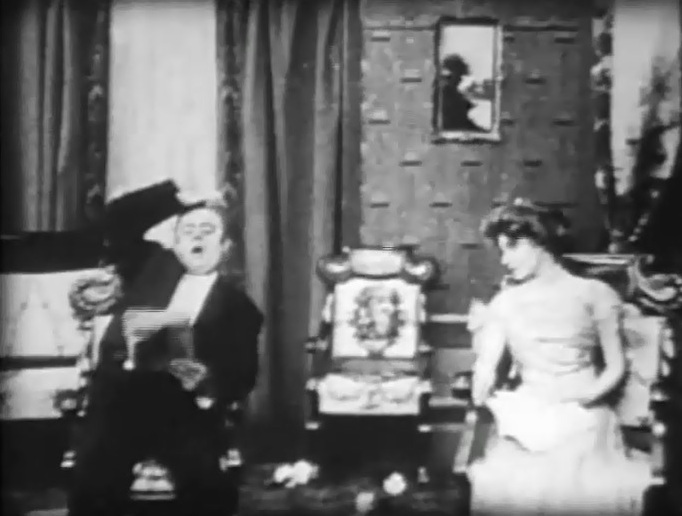 Florence Lawrence's husband is shocked to see her play a love scene with another man in "The Joneses Have Amateur Theatricals" (1909), director D. W. Griffith. 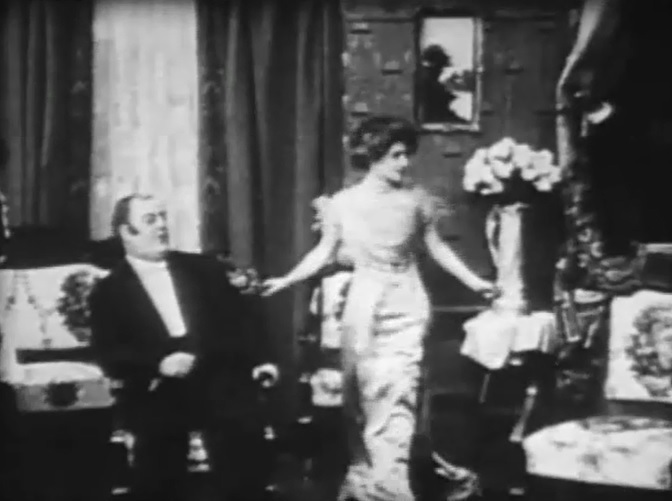 Florence Lawrence looks on as her husband kicks out all the guests in "The Joneses Have Amateur Theatricals" (1909), director D. W. Griffith. 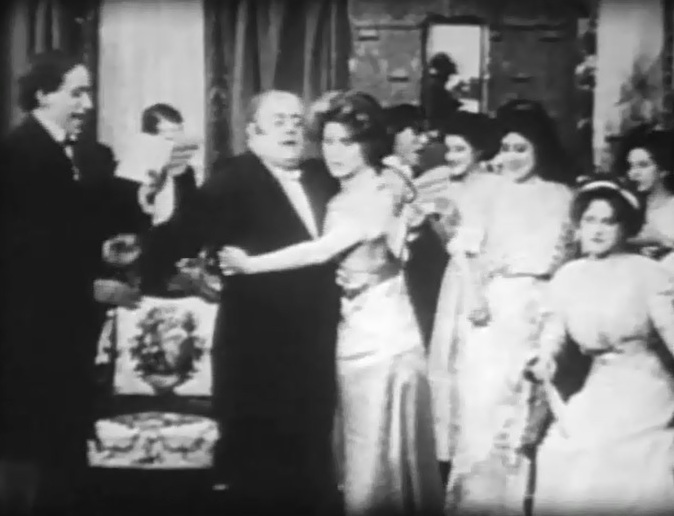 Florence Lawrence and her husband make peace in "The Joneses Have Amateur Theatricals" (1909), director D. W. Griffith. All is quiet and sleepy again in the Jones family.